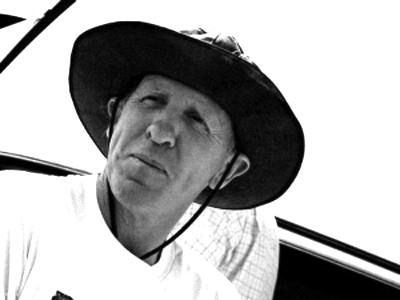 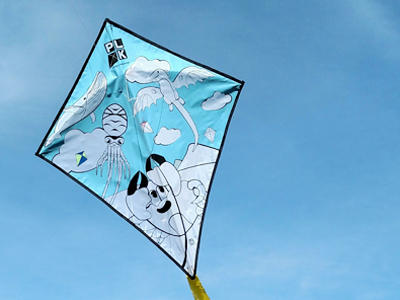 Peter Lynn Kites has been making and selling kites since 1973. 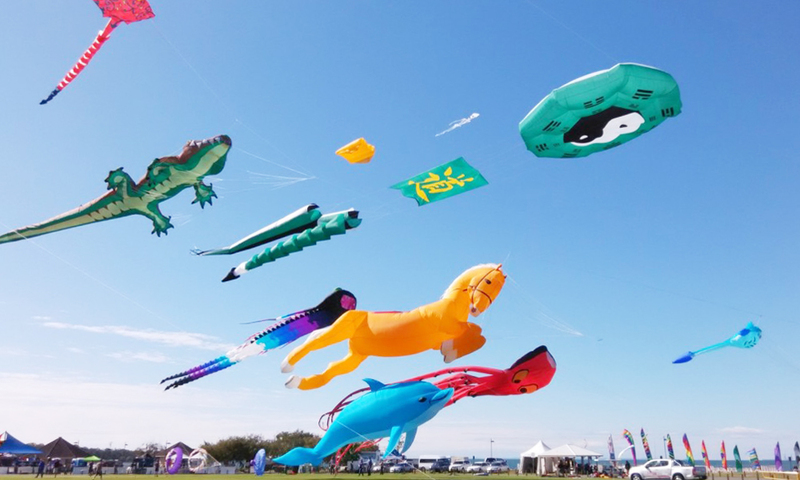 Our product range includes small kids kites through to our most widely known products our large inflatable show kites the most common one being the 25 meter long maxi octopus. 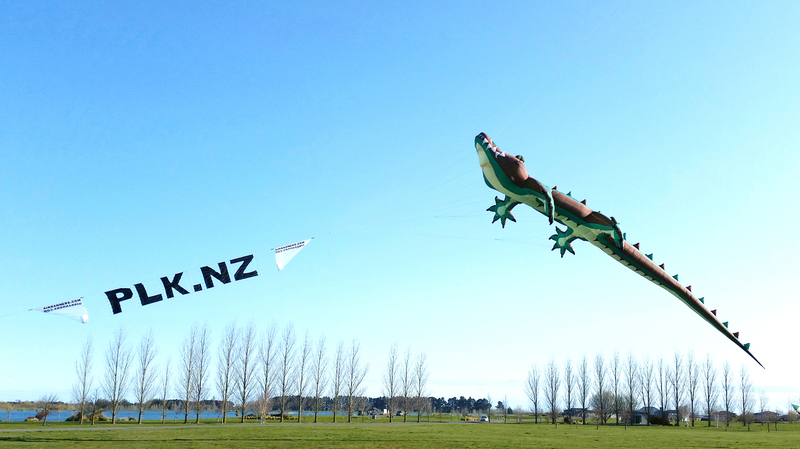 We have Peter Lynn and Simon Chisnall designing our show kites in New Zealand, but we also produce the kites for other designers from around the world Jan O’Loughlin from Australia, Volker Hoberg, Meik Schlenger and Andreas Fischbacher from Germany, Claudio Capelli from Italy and John and Irene Tan from Singapore. 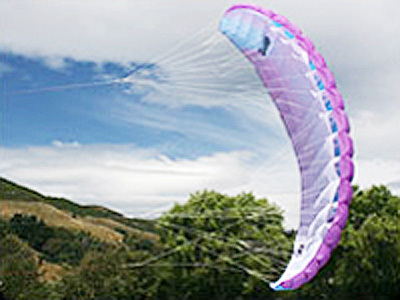 We also make special custom designs for many customers around the world. 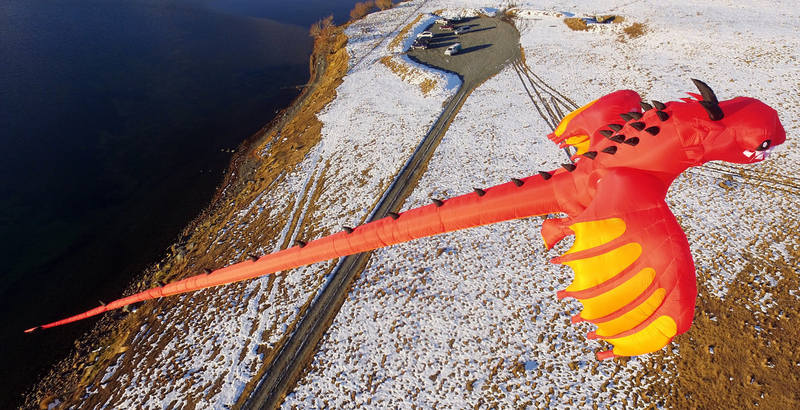 One of the most famous was a 18 meter long dragon ‘Toothless’ for 20th Century Fox. 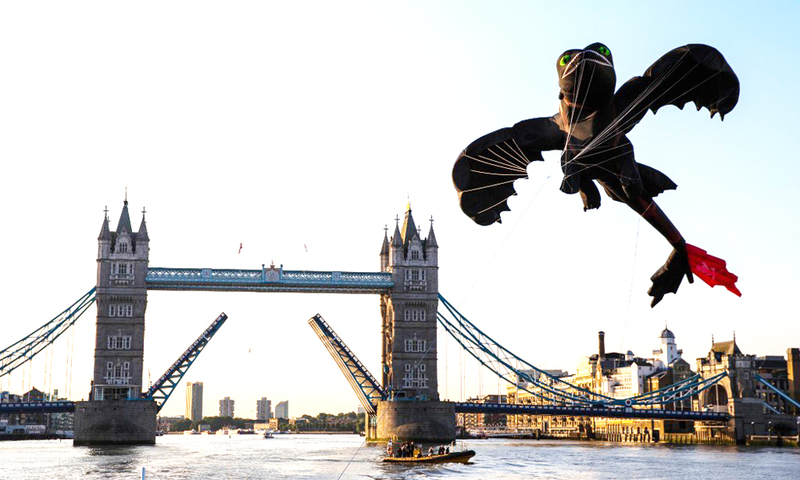 We flew this kite in different locations around the US, and towed it behind a boat in England down the Thames and through the Tower bridge. 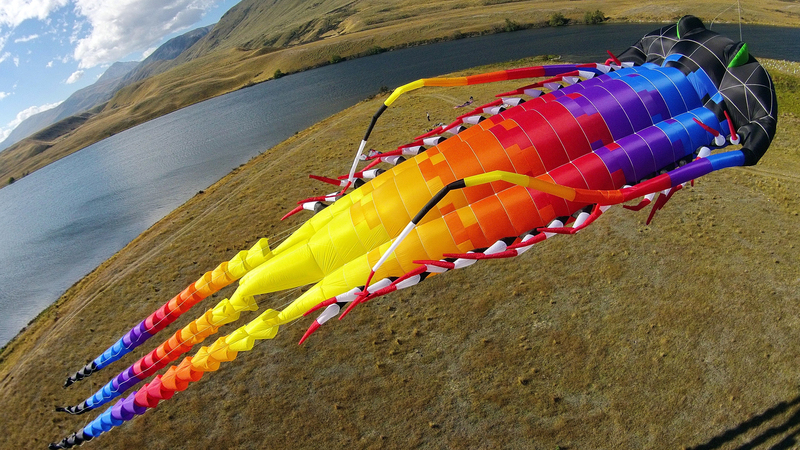 We are also the manufactures of the worlds largest kites. 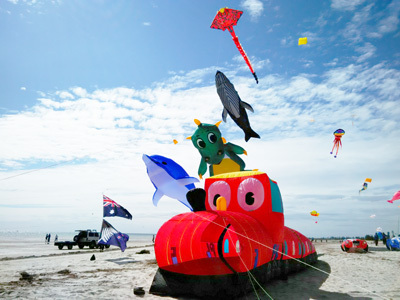 Our first Guinness World Record for the ‘Mega Ray’ and ‘Mega Bite’ which has 635 square meters of lifting area. 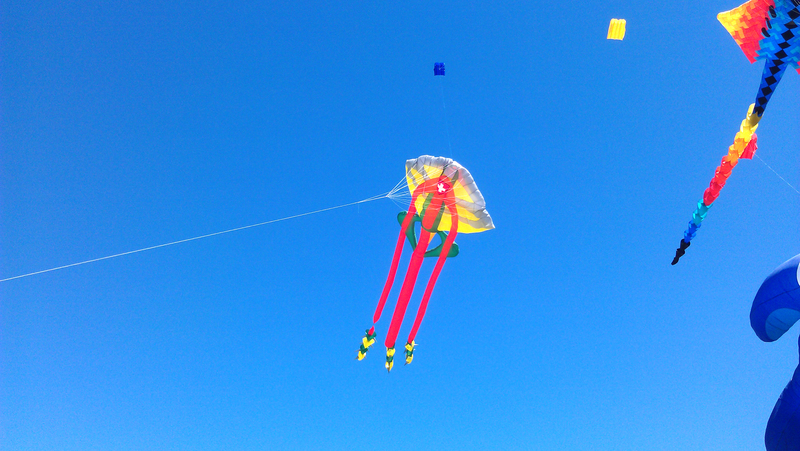 These kites were made in 1997. 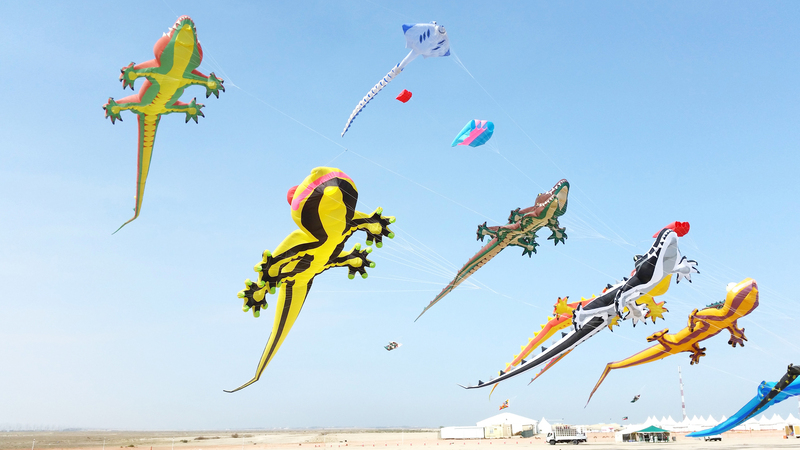 We also hold the 2005 Guinness World Record for the Kuwait flag kite with 1000 square meters of lifting area. 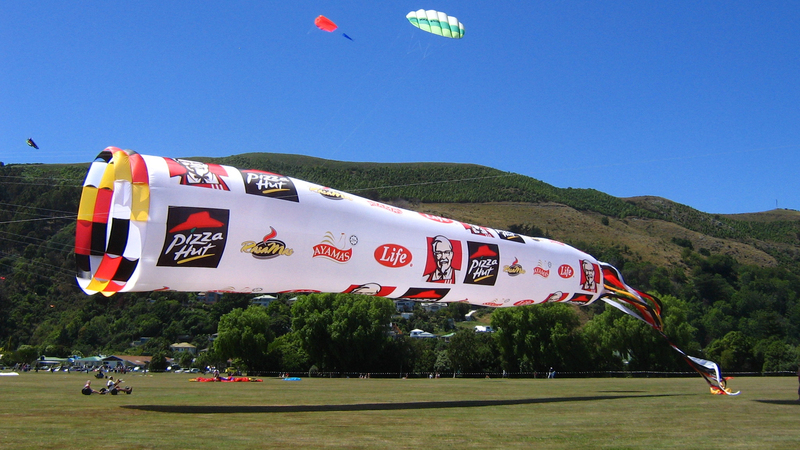 We keep trying to go bigger each time though! 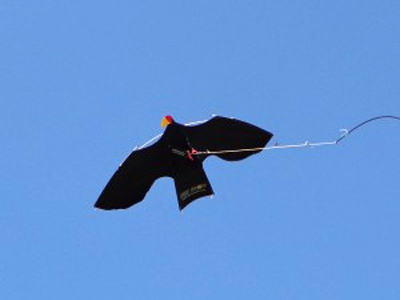 We also have the unconfirmed world record Ray with 1250 square meters of lifting area. 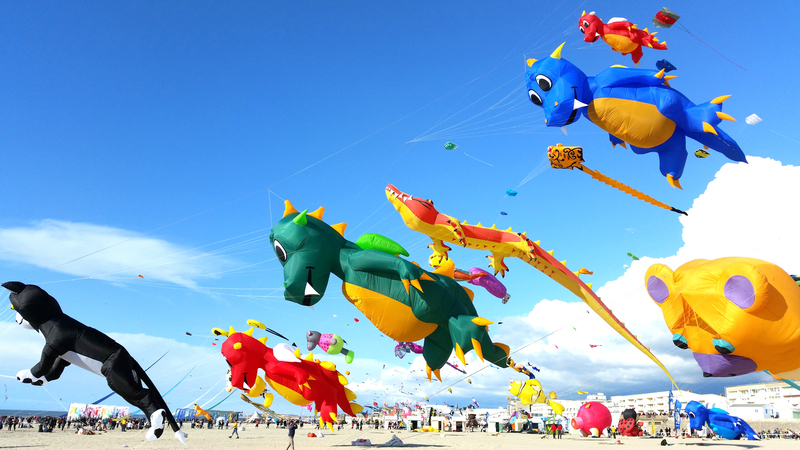 We make and sell Show Kites and we also travel the world putting on fantastic kite displays!